I wanted to talk to you about Dorm rooms. 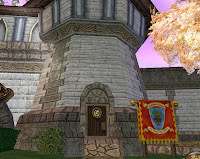 I know now everyone has houses and some players just not that into housing. Gardening can still be done in dorm rooms. Now remember there is very low item count 50 and plants and pots count towards that. Dorms rooms you cannot make soil plots so you must use the pots that you buy for gardening. Note: Once you place the pot and plant in it you wont be able to move it so place it where you would like it to stay until plant is Elder.There are some really nice looking pots for gardening inside. 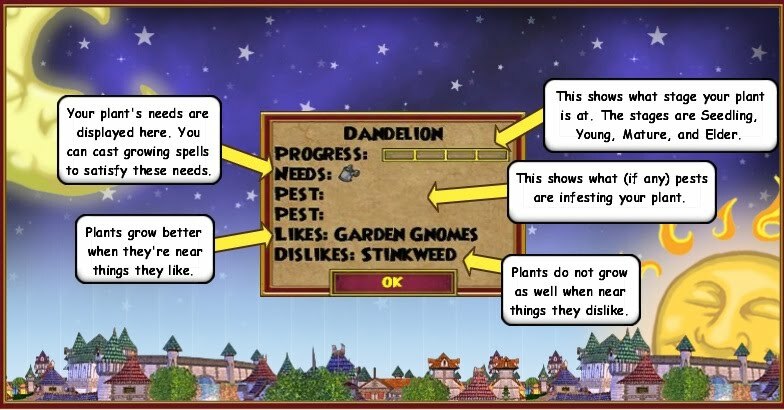 Tips: Remember Plants like gnomes so you need those and some plants do not like other plants. Dorm being one room It would not be a smart thing to have both laugh-o-dil and Desparagus in you dorm at same time or would you want to have stinkweed with other plants. The image below show how to tell the dislikes and likes of a plant. Now I have been testing how many plants you can have and still take care of them and still do some pet training ,myself I am figuring 5 max this still gives you enough energy to train your pet and by playing a couple min games each day. If you are a very avid trainer I would cut the plants down to about 3 once you level in gardening, You can get some much better plants that give better rewards. I would suggest starting with honey sickles and get them to Elders fastest so far to rank up. Another tip is Stay with lower rank spells, not all plants have the same needs, so you are using 3 energy Vs 8 and up per area of plant. I would still learn all the pest spells as they comes in all ranks. Always Inspect your plant before using a pest control spell you would not like to use a 15 energy spell for a rank one pest and the inspect cost nothing to use. Hope this helps some players who just cannot afford or just a lower level wizards who cannot get housing yet with gardening inside your dorm room. Until next time, happy house decorating. 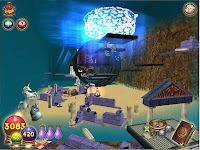 Oh I would like to show case a view of a house for you, This storm house from a friend Talon was made into a fish bowl it is a pretty awesome view please enjoy . :) Thank you talon for allowing me to view this house.